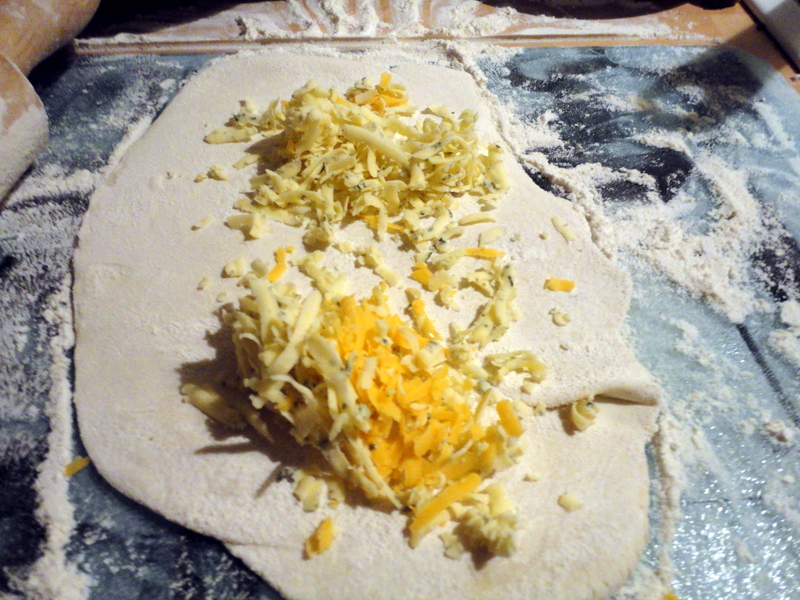 Roll out the pastry and sprinkle about a third of the cheese on top. 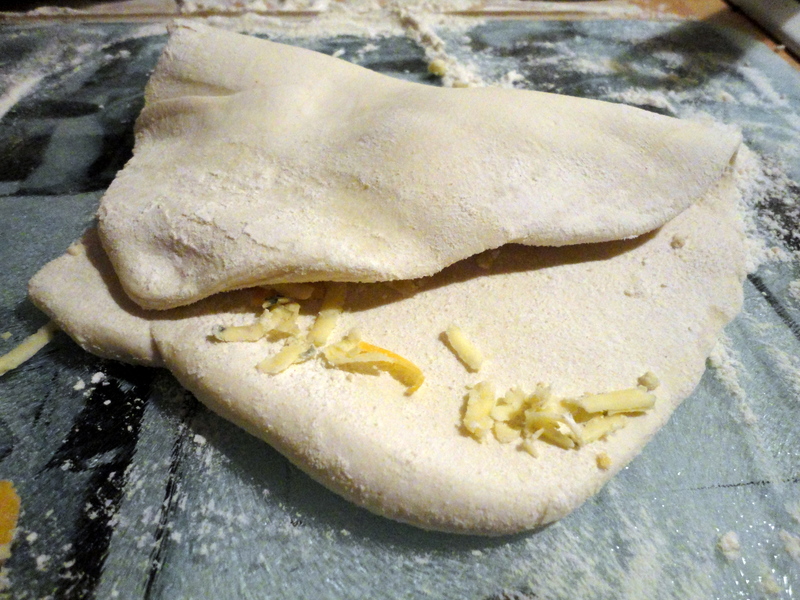 Fold the pastry over, sandwiching the cheese. Roll again. 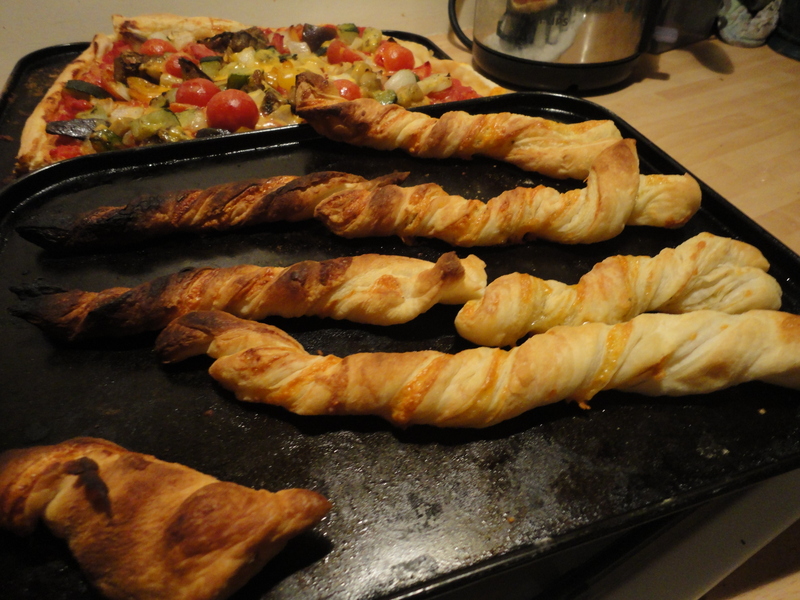 Sprinkle, roll, sprinkle, roll, until you run out of cheese/motivation. 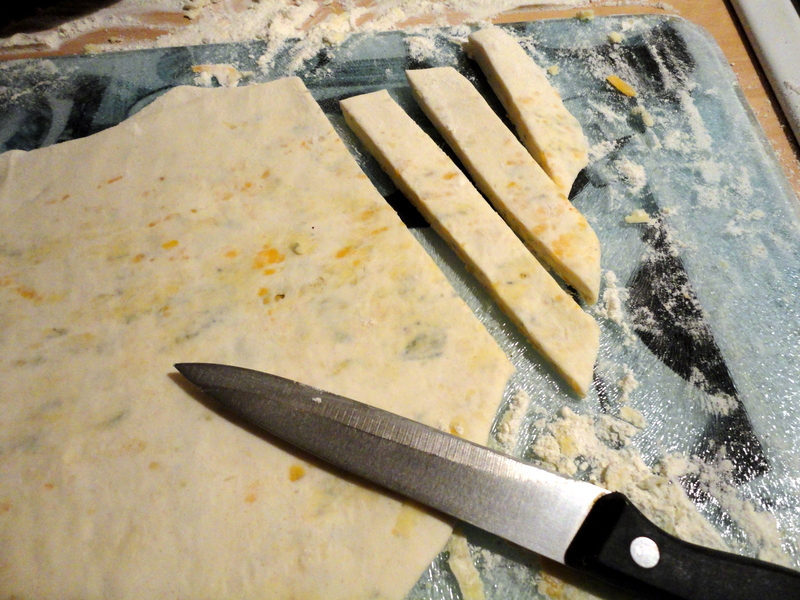 Then cut into strips. 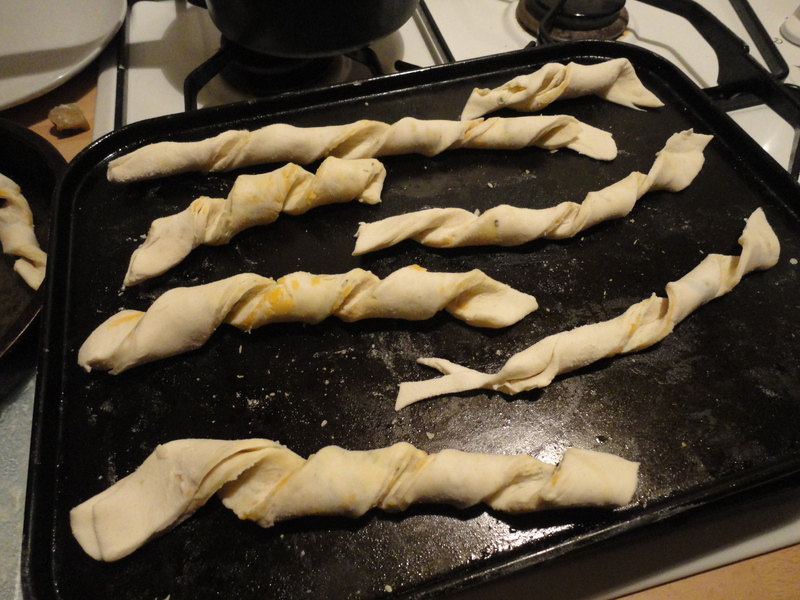 Lightly oil a baking tray (or use one that you have just cooked a cheap and easy tart on) and twist the strips of pastry before arranging them on the tray. Leave plenty of room for expansion. 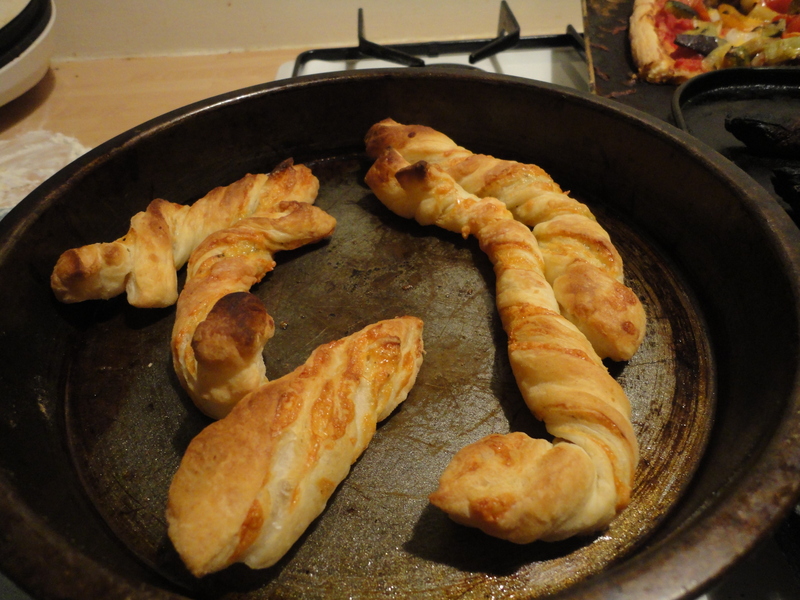 Cook in the oven at a hottish temperature, until they get all puffed up and golden brown. Or until the ones at the back start to singe and the smoke alarm goes off. Either way, really.